and welcome to the online portfolio of Wayne Hunt. 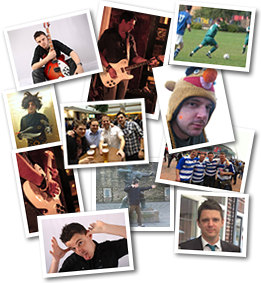 Website designer and developer, Reading Football Club season ticket holder and lead guitar player in local covers band. This site has been built with the intention of allowing you to learn some more about me, whether you are an employer looking for a talented individual to join your team, a recruitment agency on the look out for an ideal candidate for a web role or just someone who stumbled across the site by accident. Whatever your reason for being here, I hope you like what you see and get in touch. Some of my work is shown here. Click on the thumbnails for more information about the websites below. This local covers/originals band wanted their own site set up to showcase what they do, including upcoming gigs, their set lists and a way for potential clients to contact them. The band had no real brand to them, so a logo was created and then the website built around that. The site is a dark but edgey looking singular page which contains all the required information plus extra social media links for the band to control their own video/images and news feeds. The client wanted a website to show off their luxurious country home that they are renting out for corporate events and family getaways. There wasn't much of a brief, only that the site needed to convey the luxury of the property and detail its features. As such a day at the property was spent photographing rooms and aspects of the house. 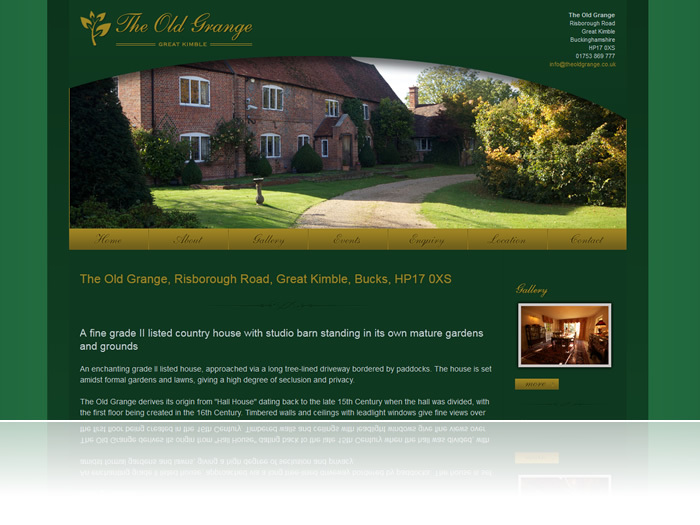 This resulted in a beautifully crafted site that perfectly illustrates the property. 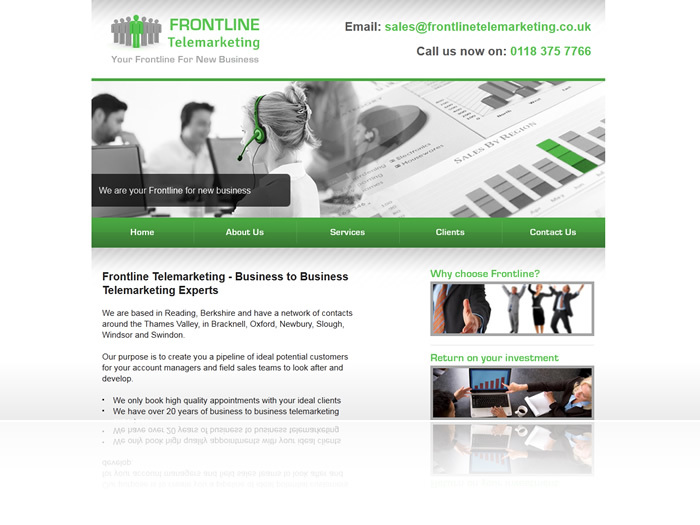 This was a website for a newly formed telemarketing company based in Reading, Berkshire. Upon initial meetings with the client there wasn't yet a clear brand strategy in place so this was established with logos, colour schemes and offline materials developed for the client in addition to the website. 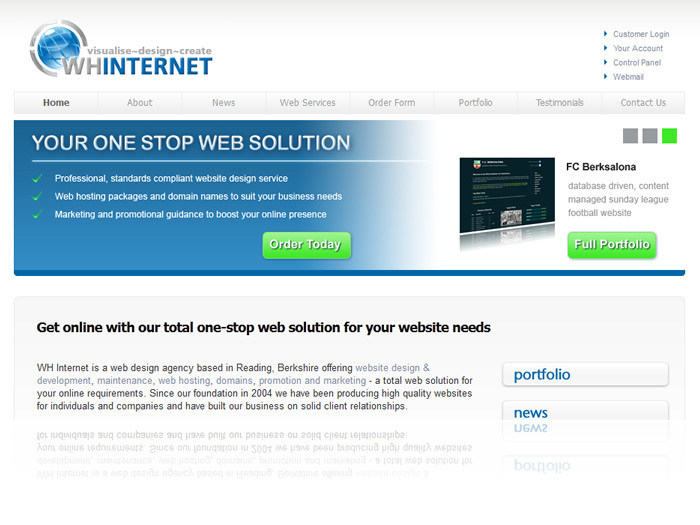 The website uses a JQuery scrolling banner to highlight the main objectives of the business. It has a simple clean layout with detailed information about the services the company can provide. 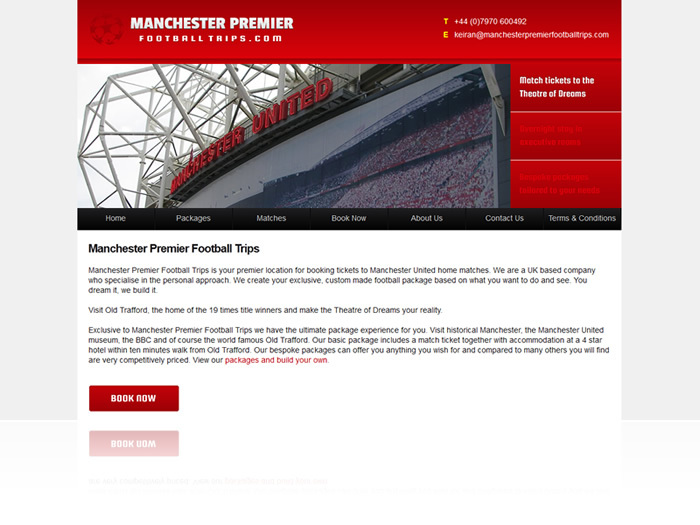 This website was built for a client who is reselling football package deals on tickets, hotels and travel. They wanted a new site for people to book online. The site is clean and welcoming and makes use of hi-res imagery. It is easy to navigate and the page content is laid out clearly allowing the user to book their tickets. The client also wanted to update aspects of the site themselves, therefore a custom built content management system was built to manage bookings, add match information and edit ticket availability. The client wanted to set up a blog for their cake making and photography business/interests. After initially not wanting WordPress they eventually saw the benefits to using the WordPress platform. The site was designed and then a fully customisable theme was created based on the clients requirements and likes. 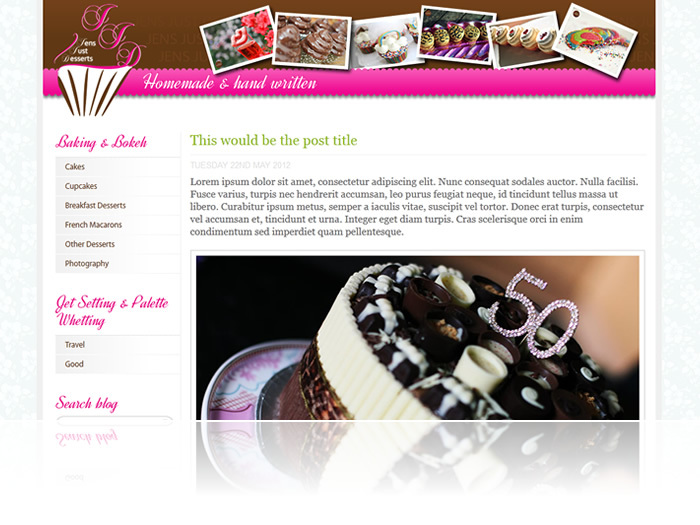 The site is vibrant and attractive and uses plenty of imagery to promote the cake making business. This site was born out of a need for our client to have an online resource to deal with common questions they were being asked about their products. The site acts as a tool for search engines to index searched keywords and also as a resource for customers to be pointed to. The site also has it's own built in search facility for customers that may have visited the site directly. The site was set up with a custom built content management system for the client to add in their own questions. The client wanted a new website and developed for her start up business doing mobile massage therapy. The site also needed to be flexible enough to allow for the other areas of her business such as nutrition therapy and sports massage. The logo was designed with three circles, each one representing what will be the clients area of expertise. The site colour and layout was then produced based on this logo. The site is easy to navigate, with plenty of high resolution imagery. The content allows potential customers to have a detailed read of what services are on offer. 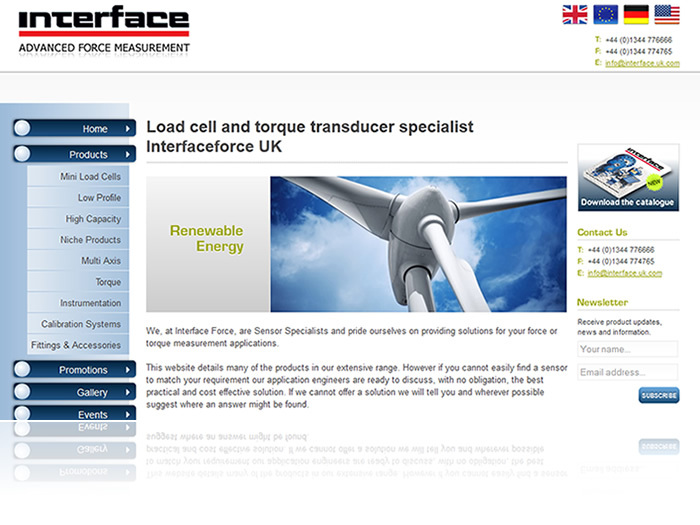 Interface Force were undergoing a massive restructure in terms of their online content. As part of that restructure they wanted a redevelopment of their flagship product driven website. Using a pre-agreed and bespoke template the existing site was altered dramatically to produce an easy on the eye and easy to use website with vast information on their products. 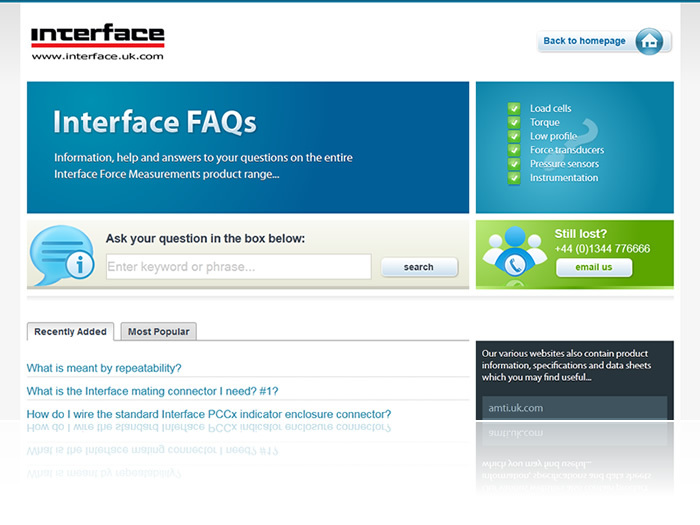 As part of the wider product range, information on products is also drawn in from other Interface websites. Unique products to this website can be added via a custom built content management system. 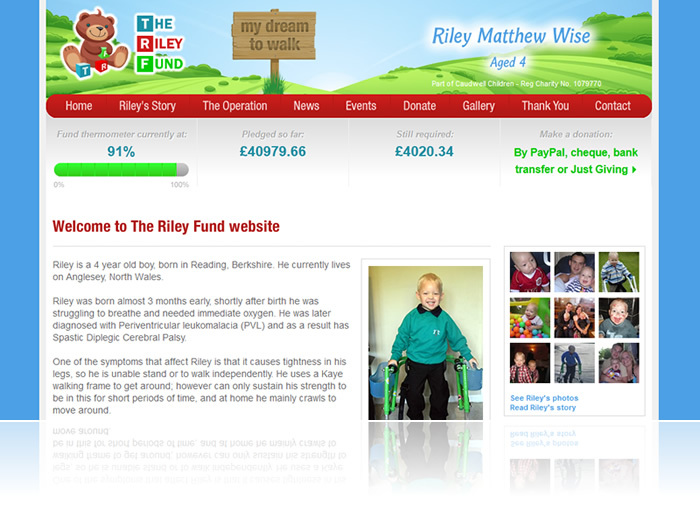 A personal friend wanted a website put together to help raise funds for their disabled son. The main aims of the website was to raise awareness for the disability, act as a tool for events and news and provide information on donating. The site is beautifully put together with plenty of childlike, colourful imagery and themes. Keeping on track with the brief the site also has a content managed area for adding new news stories, events and updating the total raised. The client wanted to revamp their existing site that was looking very dated and also improve their company's online brand. After meeting with the client, wireframing and initial designs were discussed and finalised and put together. 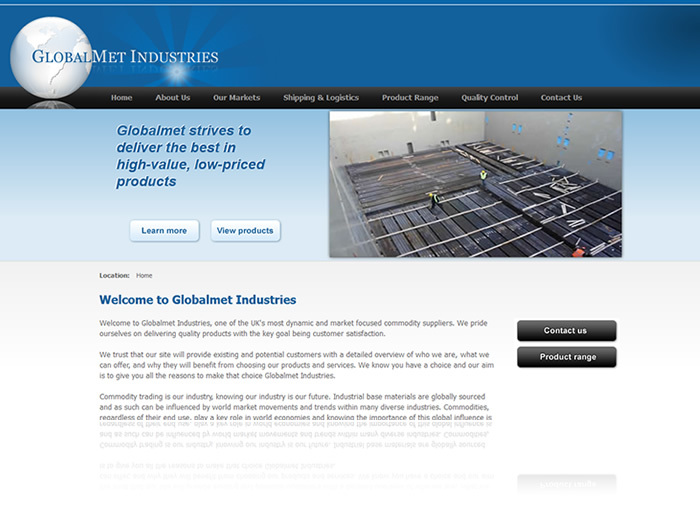 The existing company website colours were scrapped in favour of a blue and white variation. 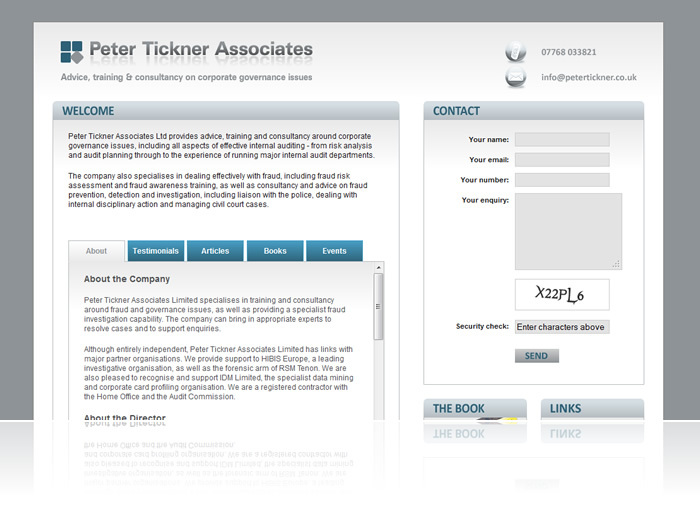 The client now has a site they can be proud of and can confidently point customers towards to gain potential business. 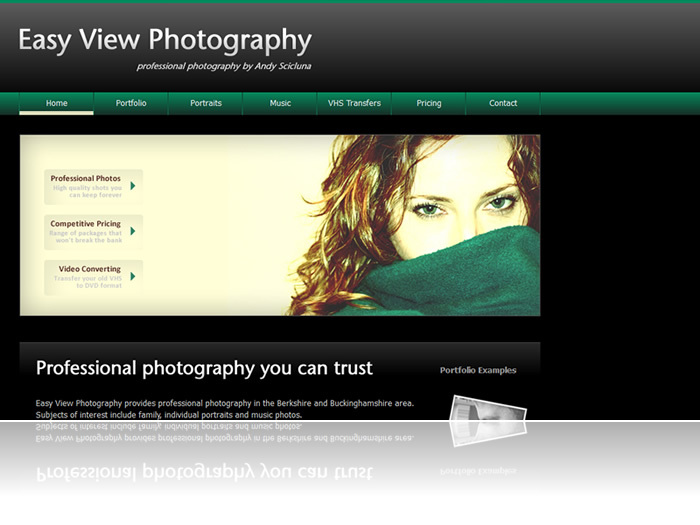 The client wanted a simple website put together for his new freelance photography business. Due to the nature of the business, some sharp, eye-catching imagery was needed at the front of the website. The site has a sleek look with black and green being the major colours. The site also features an image that the client took - which personifies the site and also his ability. There is a portfolio page for all imagery, further information including a price list and also a contact form. The sites main goals were to showcase the photos and to get users in contact with the client. The client was looking for a brand to launch his new business with. After years in the fraud industry Peter was now branching out on his own. His name was his recognised brand and as such the website is built around that. The site is a simple one-pager which allows content to be categorised in a tab format. Items such as speaking events, published articles and books are given preference. Despite the amount of content the site still looks clean and professional and is very easy to navigate around. My freelance website! This website was initially set up to allow me to get more business when I started website design. It has undergone three variations with the latest one being this one which was completed in January 2010. The site is attractive and professional looking and showcases all the aspects of design that my freelance company can offer including hosting and domain purchases as well as website design. Behind the scenes the site is powered by a CMS available through a self-built admin panel. For clients with current projects there is also a ProjectTracker which allows them to keep up-to-date with all developments on their website. 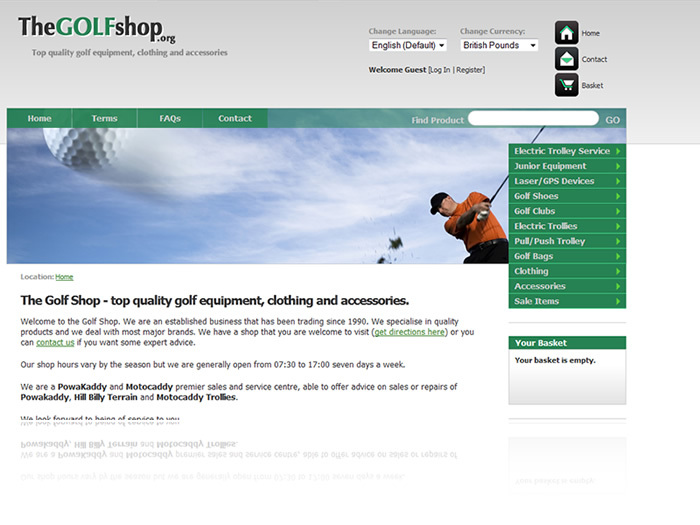 The client wanted a redesign of their basic brochure site advertising their golf shop. In particular they wanted ecommerce installed on their new site and also the ability to upload new products and also check stock levels against products listed in store. After much investigating, an ecommerce solution was purchased and the default ecommerce skin was completely revamped using a design approved by the client beforehand. Upon site completion training was then given to the client to enable them to add/edit and delete products via the administration section. The site build for this didnt include much of a brief from the client - the manager of a local Sunday League football team. He had his own wishes as to what needed to go on it and that it needed to be easily updatable for someone with no HTML knowledge but the design/style was left open. Colour wise the site needed to represent club colours and opens up into a dark shade of green against white text. Information is fed through to the front end from a database including player stats, fixtures, results and news stories... it even has room for a WAG section! Although the site was not intended for new visitors to find, it has been set up to be Search Engine friendly and appears well in page rankings. 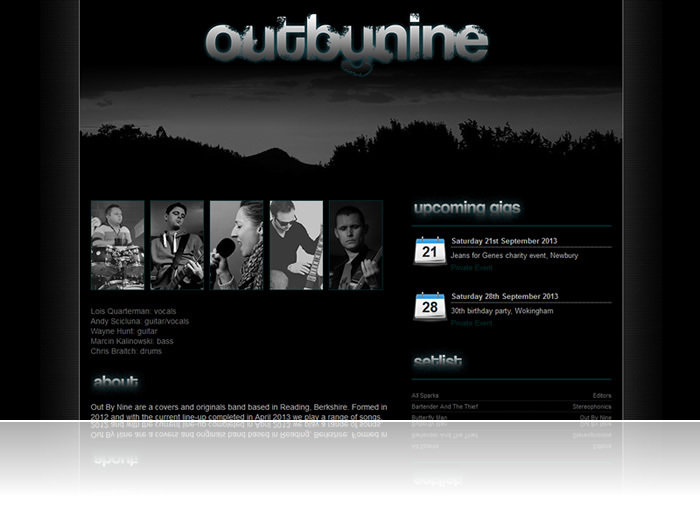 October 2012 update: This site has now been taken offline but an archive of it can still be viewed on the new URL below. Feel free to get in touch for any reason if you have liked what you've seen on this site.